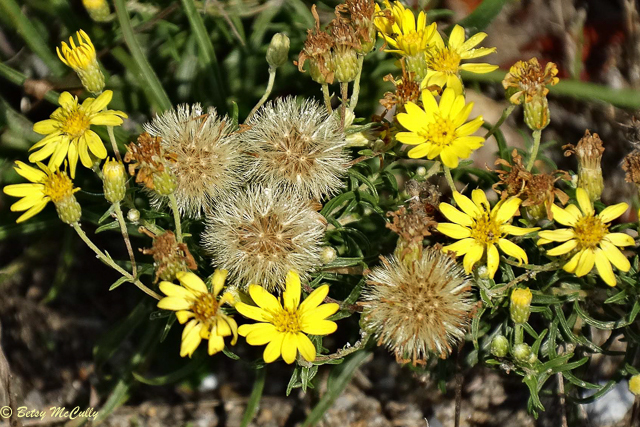 Golden-aster, Sickle-leaved (Pityopsis falcata; previously Chrysopsis falcata). Asteraceae family. Restricted range: glacial sands. Long Island only. Napeague, Long Island, 2018.